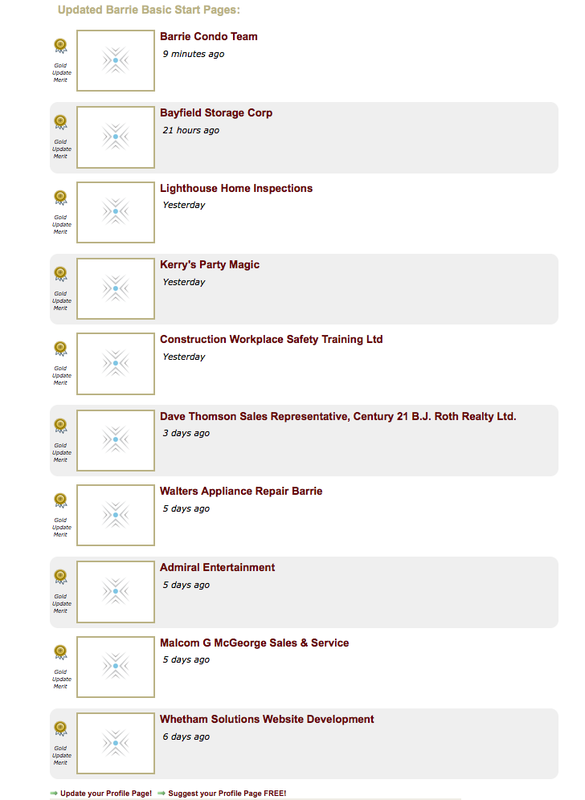 This page lists the Business Members that have recently joined the CityDirect.info network. 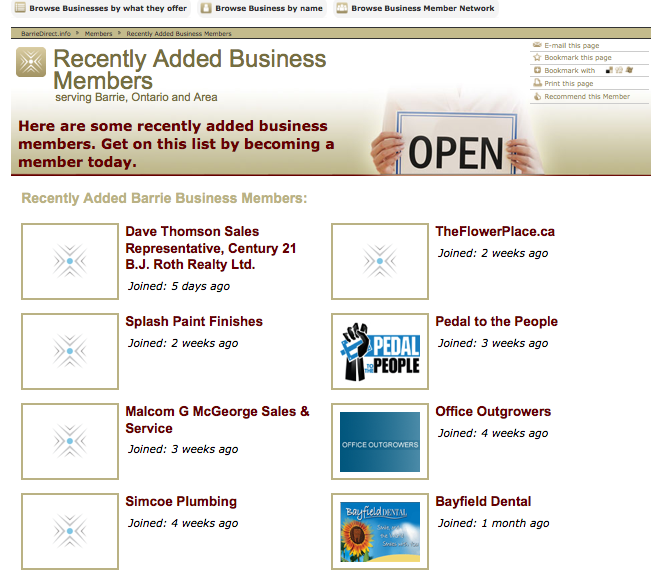 Instead of listing the Business Members in a vertical line from most recently added to least recently added Business Members, the most recently Added Business Members are listed horizontally, in rows of two. 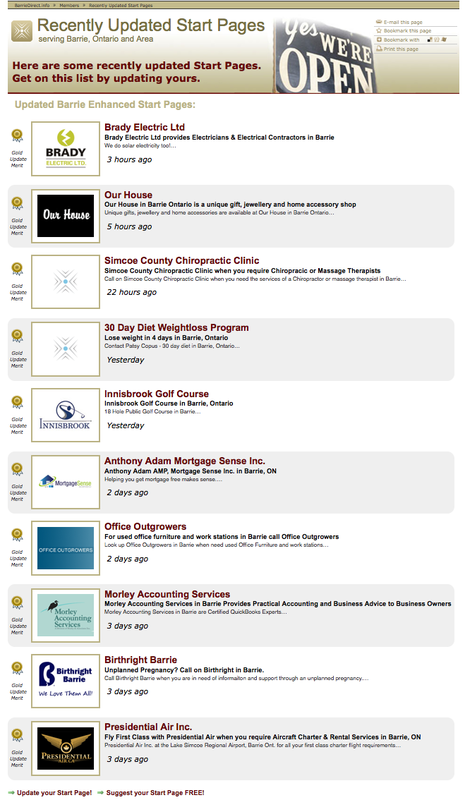 This will keep more of the Recently Added Businesses closer to the top of the page. 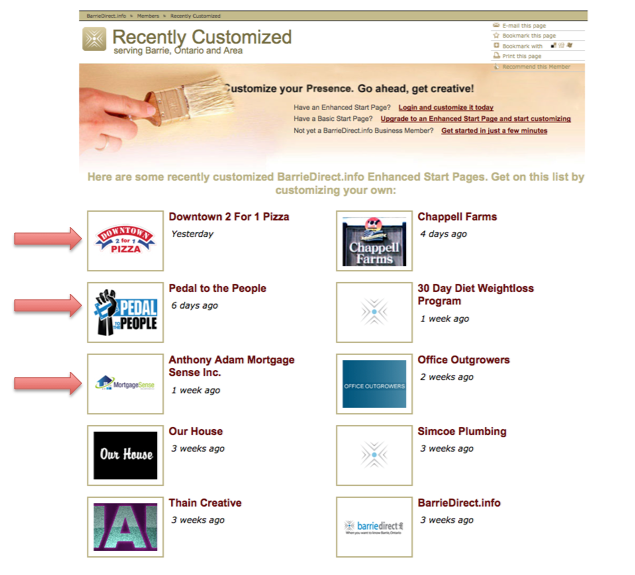 This page is still going to showcase the organizations that have been recently customized. 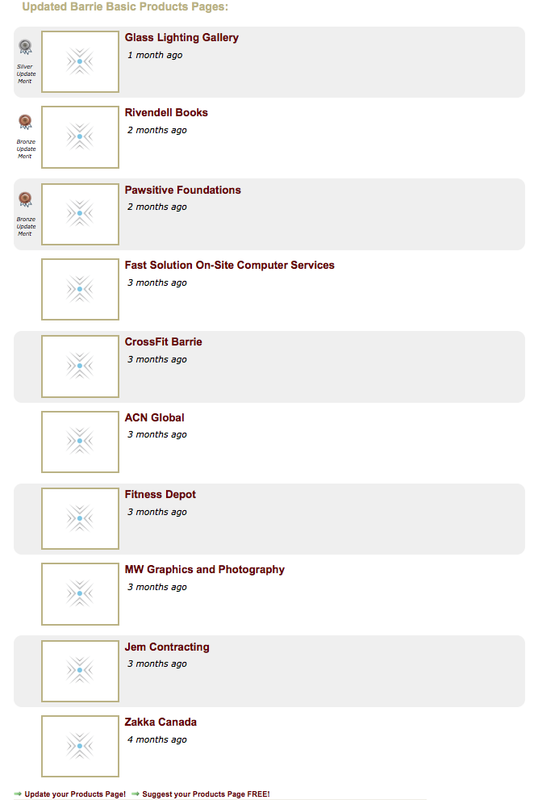 However… now, the order in which the organizations appear on the page has been changed. 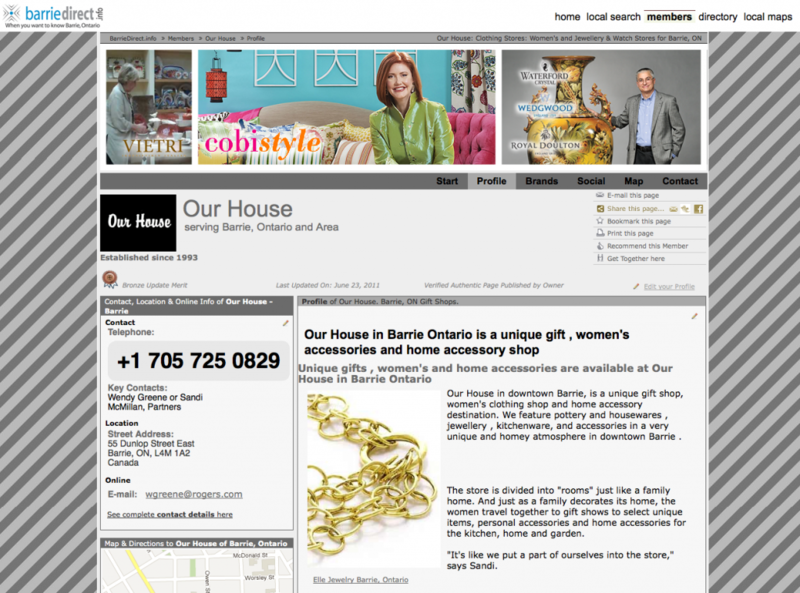 This new way the recently customized pages are ordered, keeps the most recently updated business names at the top of the page. 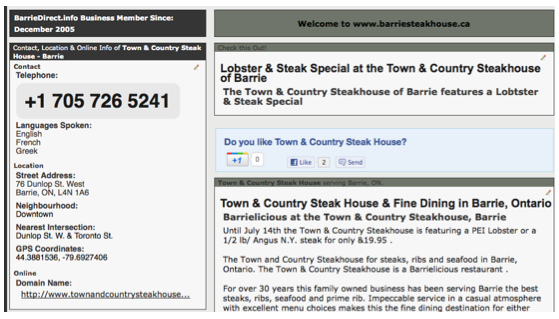 Customizing your page not only looks great and helps you stand out, but it can also get you at the top of this page! 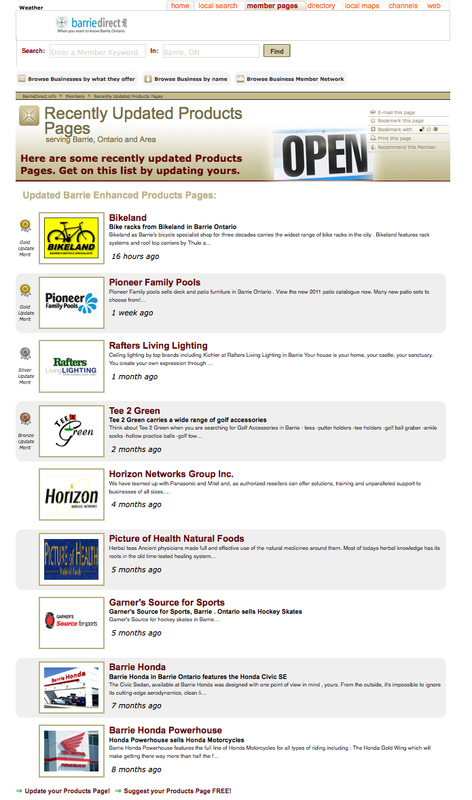 Organizations who have recently updated their Start Pages are now listed together on one page. The recently updated pages are organized in two ways. 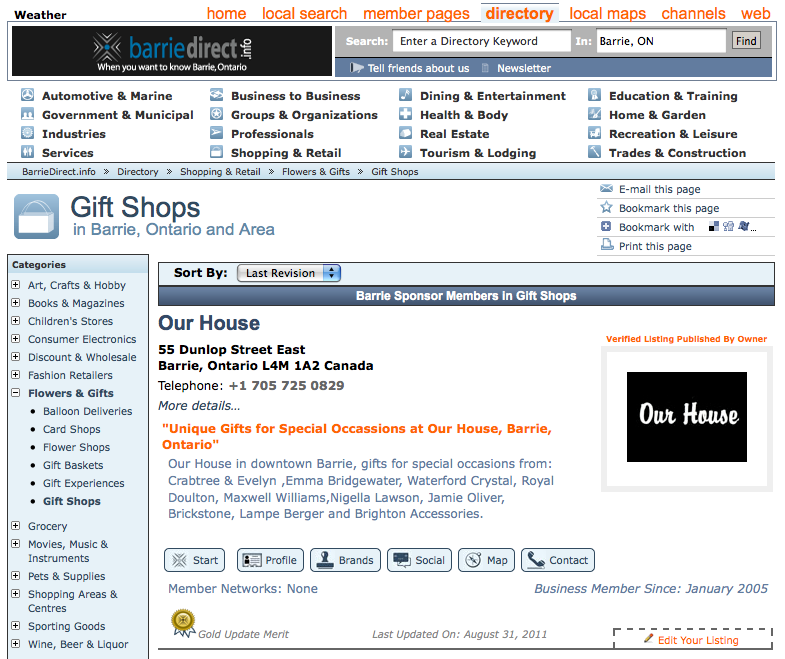 First, they are separated by Enhanced and Basic Start Pages. Recently updated Enhanced Start Pages come first, followed by the recently updated Basic Start Pages. The recently updated Start Pages are then broken down by the date and time of the last update. The most recent updates are found at the top of the category. However, Enhanced Start Pages always come first, no matter how recently updated the Basic Start Pages are. 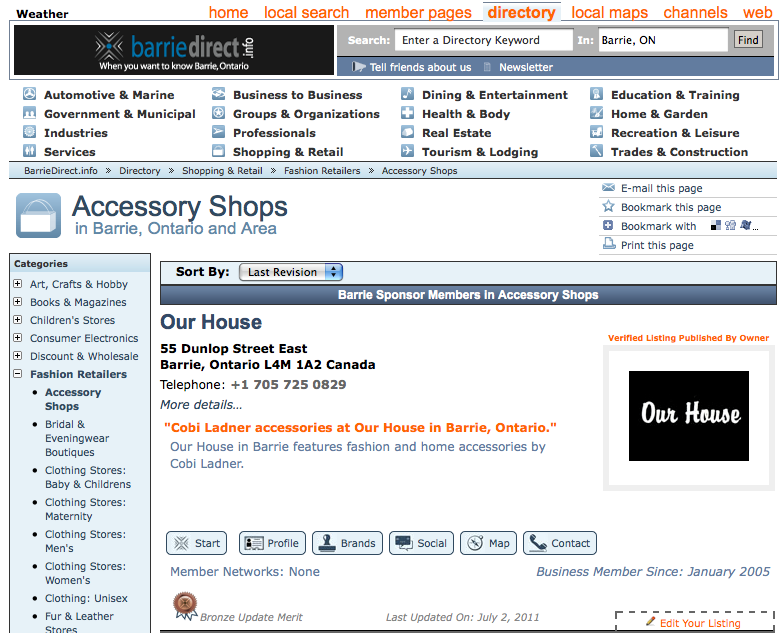 Our House would come before Barrie Condo team because it is in the Enhanced Start Page category. There is a maximum of 20 organizations in the list for recently updated Start Pages: 10 Enhanced Start Pages, and 10 Basic Start Pages. 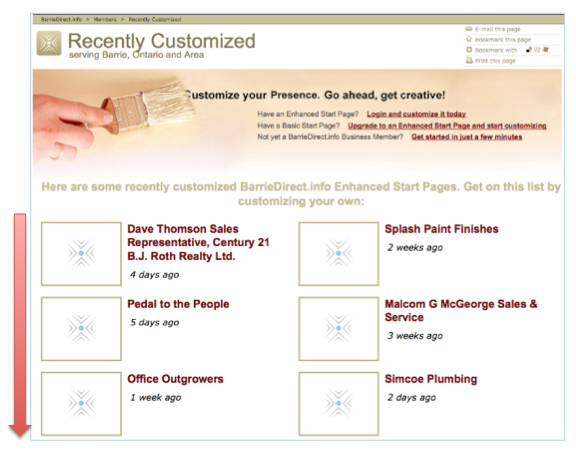 Organizations can get their names on this list simply by updating their Start Page. The more your Start Page is updated, the more your name can be featured on this list! 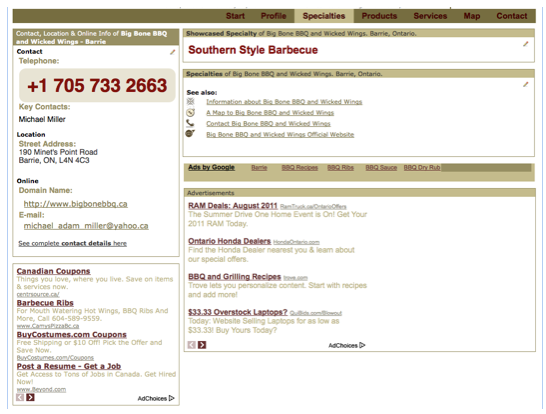 Improve your web content in just a few simple steps! Think about what you want to say then follow these 7 steps to help you say it right. 1. Focused message / top per page: For each page determine the most important messages you want to communicate to your target market. 2. Brainstorm search words: Put yourself in the position of a potential client of yours. 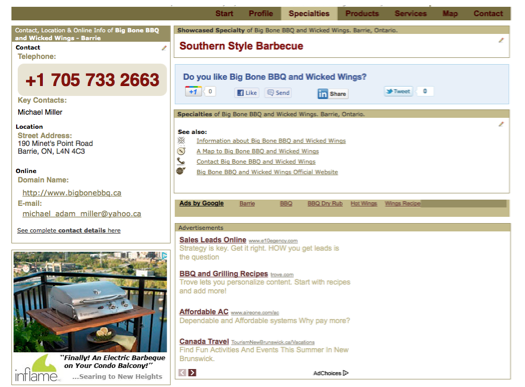 Determine the keywords and key-phrases they will use while searching for what you offer. 3. Prioritize: In order of priority, craft a “top 10″ list of keywords and key-phrases out of what you have outlined in the first two steps. 4. Sign in: Login to your Business Membership. 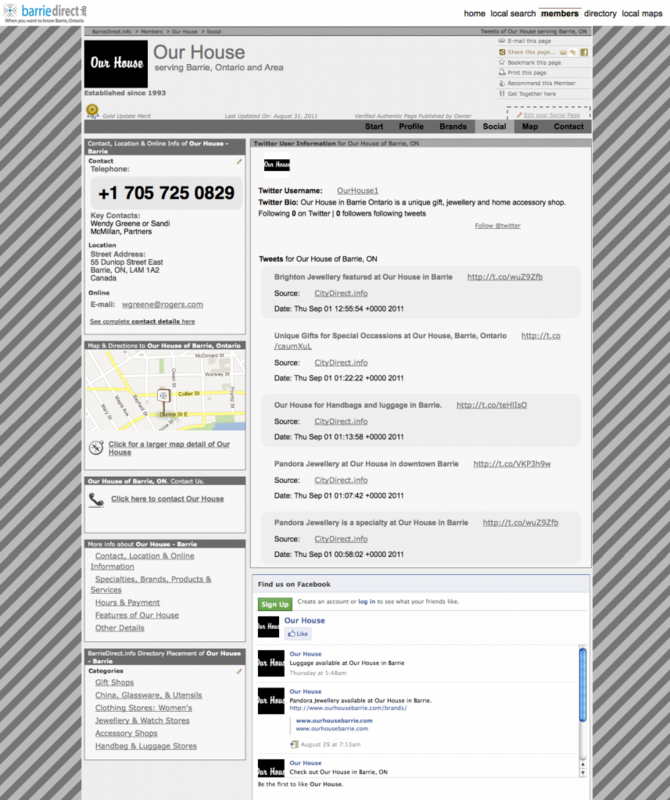 Click here to access the Business Member Login Page. 6. Using your “top 10″ list focus each content grouping on one keyword or key-phrase from the list; the first content grouping should be for your most important keyword and descend in order from there. Start by placing the keyword in the SEO assistant and then write a heading, subheading and paragraph focused on that keyword or key-phrase. 7. 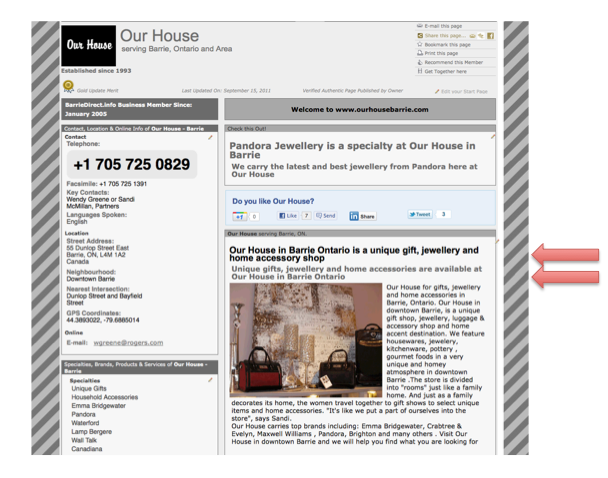 While writing the content, tie the keyword or key-phrase that is the focus of the grouping to your market area. 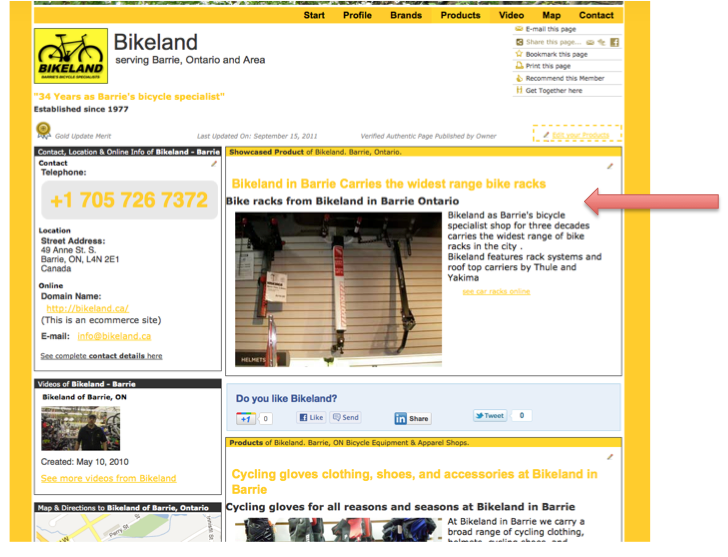 For instance, if the keyword is “bikes” and your market area is “Barrie, ON”, then write content that links the “what” and the “where” as much as possible. 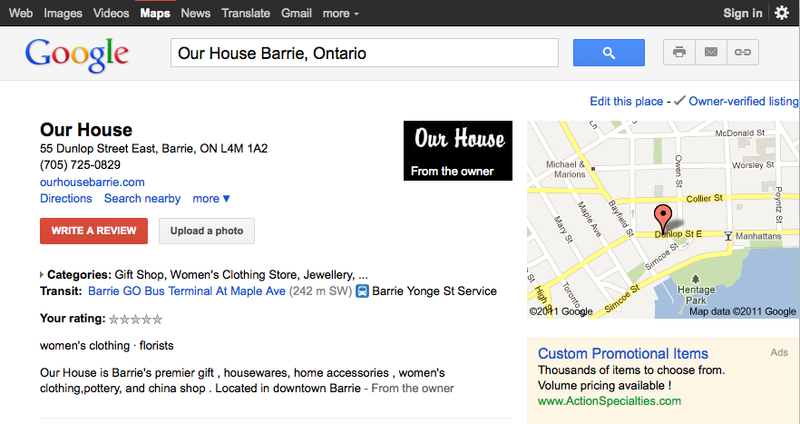 NOTE: Successful search engine optimization (S.E.O.) takes experimentation. 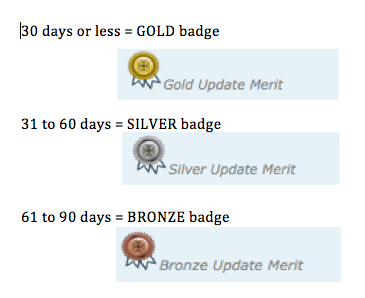 Update and improve your content often and track what works. These extra sharing options allow for your page to be shared in more ways and increase the number of people who will potentially see your pages.